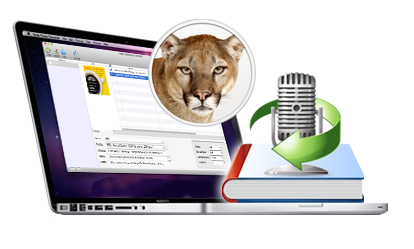 Ondesoft AudioBook Converter is specially designed for Mac users to batch convert audiobooks to MP3, AAC, AC3, AIFF, AU, FLAC, M4A, M4R and MKA with high quality. So you can play your purchased audio book anywhere you want and share your favorite audiobooks with others. • Convert DRM audio books to 9 popular audio formats. • Convert iTunes or Audible. AA audio books in 16X speed. • Save ID tags and metadata to the converted MP3, M4A files. • Chapter information will be preserved to the M4A files. Here you can know more about our product and us. We provide Audible .AA AudioBook Converter for Mac to remove DRM and let you enjoy your audio books anywhere you want. We are always fighting to provide better products and services, your opinion and advice are of great value to us. We look forward to hearing from you. Sales: Any question about sales, order, license code, registration, upgrade and etc. Please write to: sales@ondesoft.com. Support: Suggestions and questions about our products, tutorials, update, bug reports and etc. Please contact us at: support@ondesoft.com.